Top Five is something of a mixed bag, bringing together a traditional romantic comedy with a cutting satire of the entertainment industry. While the movie would work in either genre, it is somewhat lacking in cohesion as a result of this fusion. But what cannot be denied is that Top Five has the laughs to make up the difference. Chris Rock stars as Andre Allen: a stand-up-comedian-turned-actor who is trying to put his comedy career behind him and break out as a more serious movie star. The movie sees him being interviewed by New York Times journalist Chelsea Brown (Rosario Dawson) on the eve of his wedding to reality TV star Erica Long (Gabrielle Union). As Brown follows Allen around New York for the day, he is forced to confront his past, his present unhappiness and just where his career is heading. 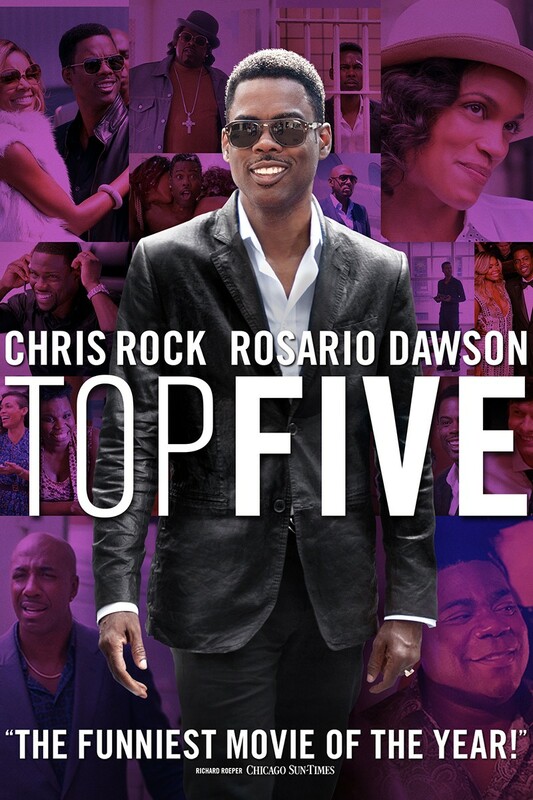 The meta-aspect of Top Five—written, directed and starring Chris Rock—is interesting while the movie makes a number of well-conceived points about the entertainment industry, and particularly reality TV and the nature of celebrity. Chris Rock also puts in a nuanced performance as Andre Allen, proving once again that he has the acting chops to back up his comedic talent. His character Allen shares some great chemistry with Rosario Dawson’s Chelsea Brown and their scenes together are some of the highlights of the movie. But perhaps the strongest feature of the movie is its supporting cast, with excellent turns from the likes of Kevin Hart and Cedric the Entertainer, and unexpected cameos from Jerry Seinfeld, Adam Sandler and DMX. While Top Five is, at times, tonally dissonant, and might have benefitted from a more consistent edit, it more than has the laughs to make up for it.